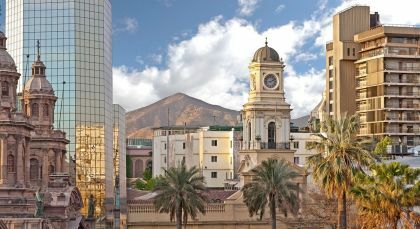 Journey from the bustling streets of Santiago de Chile to the stunning Chilean Patagonia and Atacama, where we promise you will be seeing stars! Appreciate star constellations with your naked eye with trained astrologers, and witness the high-flying equipment that provides insights into our universe. Explore the natural beauty of Patagonia during your stay at Tierra Patagonia. 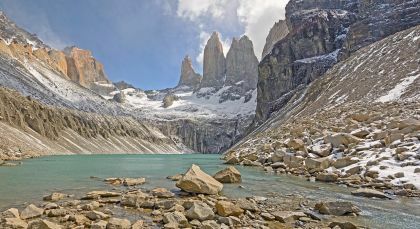 Choose from half-day and full-day activities that allow you to experience pure splendor of Torres del Paine. Select from hikes and treks at various levels, horseback rides, and scenic van tours. With a wide variety of activities, there is something for everyone ensuring that everyone is able to enjoy their stay at Torres del Paine. For more detailed information on all the activities offered by Tierra Patagonia please visit their website. 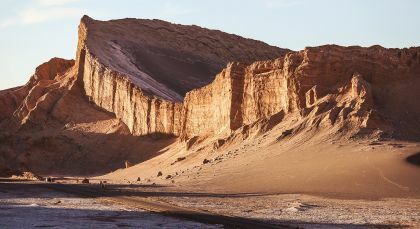 While at Tierra Atacama explore the splendor of the Atacama Desert. In consultation with their trained naturalist guides, each day choose what you would like to explore. Choose from half-day and full-day activities that allow you to experience pure splendor of the desert. Select from hikes and treks at various levels, horseback rides, and scenic van tours. 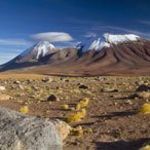 Among the many attractions of Atacama are visits to the salt flats, many lagoons, El Tatio Geyser, relaxing in the natural hot springs, archaeological ruins, star gazing and splendid lunar-like valleys. For more detailed information on all the activities offered by Tierra Atacama please visit their website. Discover the largest astronomical project in the world! Supported by several major international science organisations and located at 5,000 meters in the San Pedro Atacama desert of northern Chile, ALMA is a cutting-edge single telescope, making this a unique observatory for you to explore. Anyone fascinated by stargazing and outer space will love watching the personnel operate and maintain this high-flying equipment that provides insights into our universe. Kindly note ALMA is only open to the public on the weekends. (Duration: from 9am to 1pm. Visitors must register in advance by completing and submitting a form on ALMA website. Activity is subjected to availability. Meeting point is at 8:30 at the public parking lot beheind the San Pedro de Atacama Museum. All guests must carry some form of identification with them. Transfers to meeting point and back to the hotel are not included). We had the great fortune to discover Enchanting Travels and what an absolute blessing it was. From the initial planning with Nicola through to the caring and consideration and planning and support all the way up to and then during our tours, we could not have asked for anything better. I could not speak more highly of the whole team. Many many thanks for making this a truly memorable trip of a lifetime.